NTPM is a consumer goods and paper company that aims to enhance personal hygiene with our products. With years of experience, it enables our brands to make a strong presence in the Malaysian market. Our interleaf™ technology allows us to add a tinge of color to the plain-white tissue. 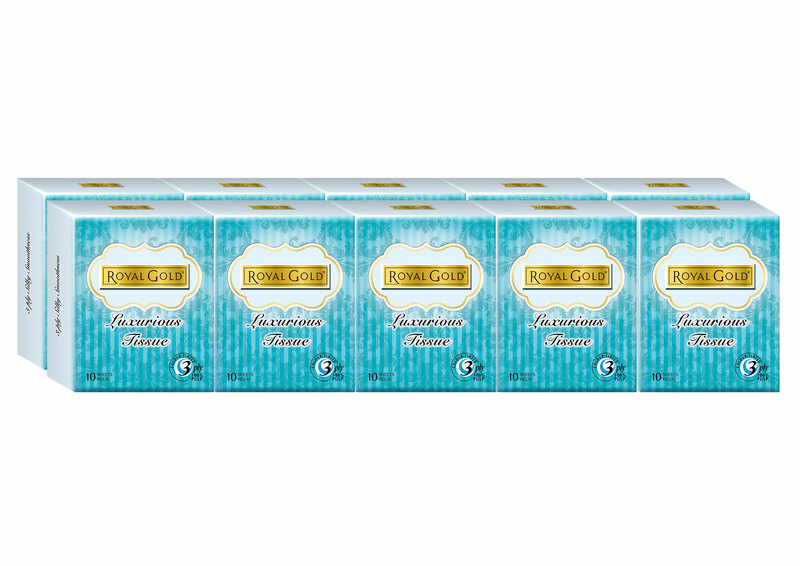 ROYAL GOLD Luxurious Interleaf brand tissue comes in soft blue for calm and soothing effect and a bright canary yellow for an optimistic and cheerful feeling. This interleaf™ technology layers the color tinted tissue in between the soft pure white tissues that is then pampering to the skin and the 3ply strength of ROYAL GOLD Luxurious Interleaf tissue offers consumer the verve of reliability. For this reason, ROYAL GOLD brand tissues bring about a special luxury and lasting elegance to our consumer. 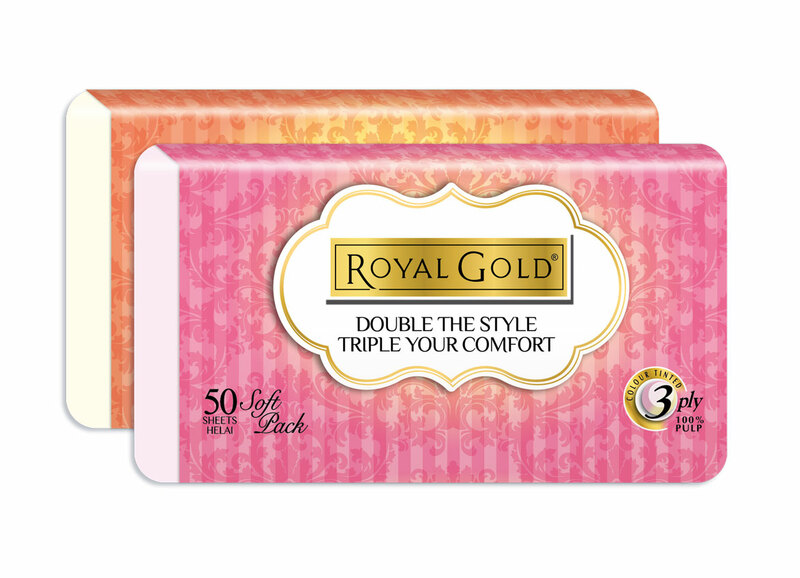 ROYAL GOLD Luxurious Interleaf tissue comes in 3ply silky-smooth thickness. 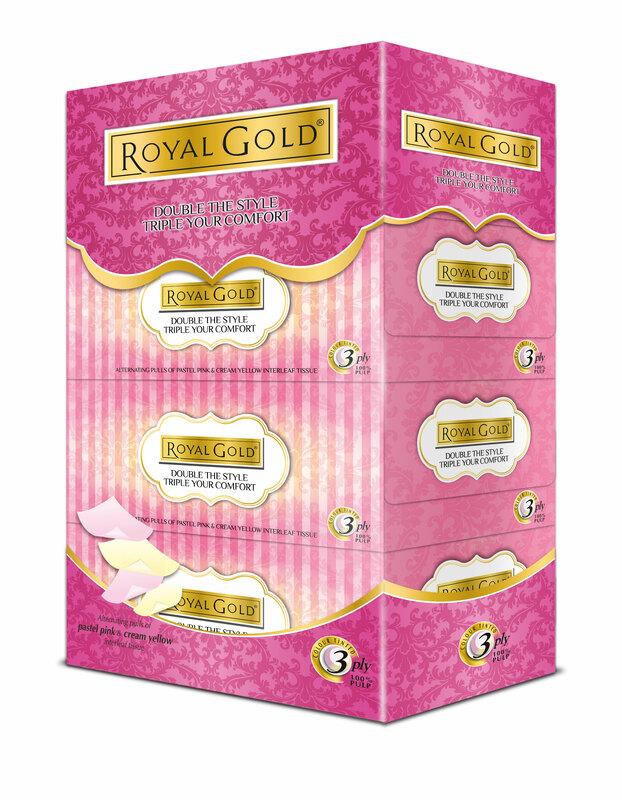 ROYAL GOLD Luxurious Interleaf tissue comes in 3ply thickness. Choose the color that suits your mood, soft blue and canary yellow. 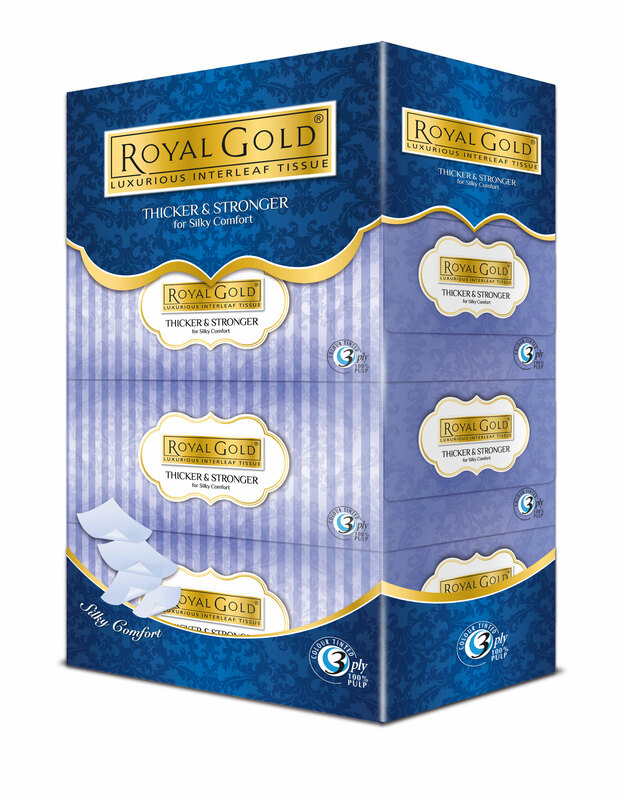 ROYAL GOLD Luxurious Interleaf bathroom tissue comes in 3ply thickness. This is our softest, thickest and most absorbent toilet tissue. ROYAL GOLD understands the lasting elegance in every household, thus, our roll are available in 160, 200 and 220 sheets per roll. Twin Tone Interleaf Tissue Packing has been introduced into more trendy and more convenient for outdoor usage. 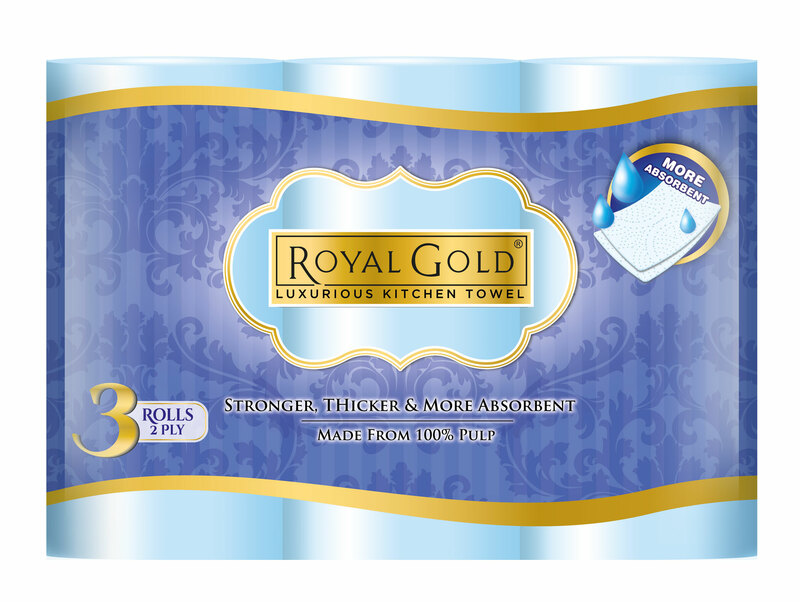 ROYAL GOLD 2ply kitchen towel roll tissue absorbs like a sponge. This 90 sheets per roll kitchen towel is suitable for usage in maintaining the cleanliness of the household as well as on foodstuffs. 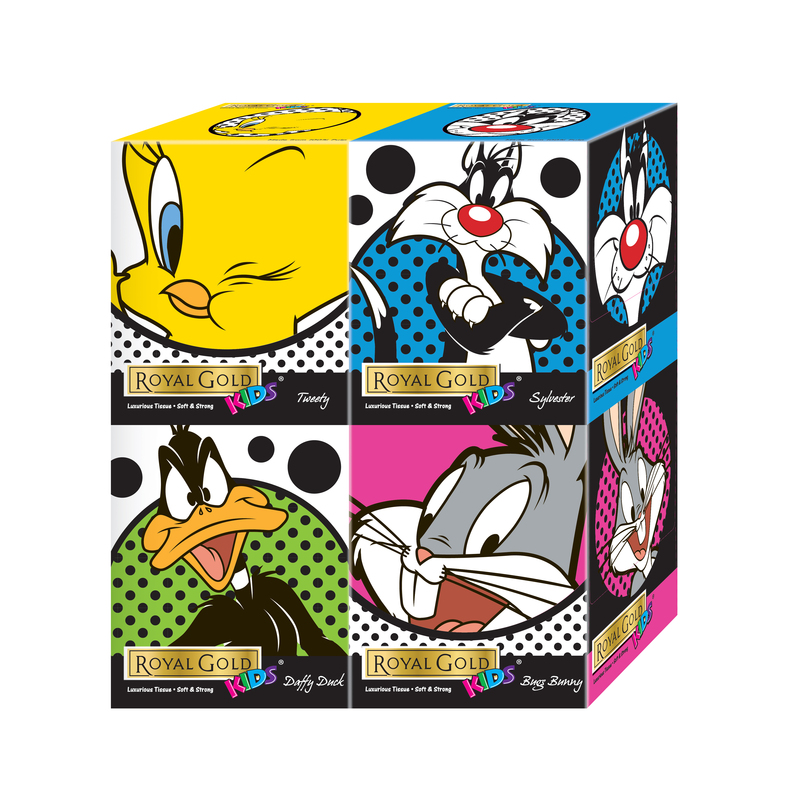 ROYAL GOLD Luxurious cube box tissue comes with a variety of vibrant colored cartoon characters and trendy-design to cater to the niche market. 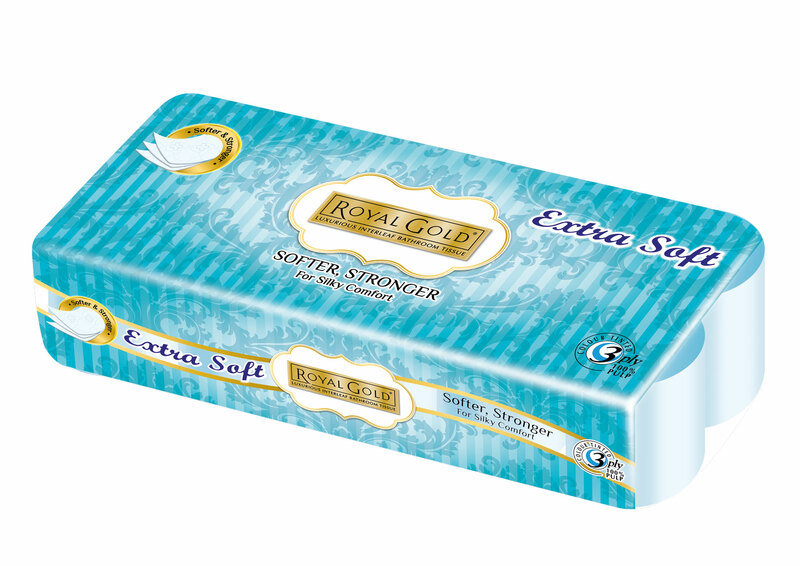 ROYAL GOLD Luxurious tissue comes in 2ply softness. This silky smooth paper fits well into your pocket and is convenient to carry around. ROYAL GOLD Luxurious Hanky comes with 2ply softness & silky smooth papers. It is available in variety of cartoon characters.